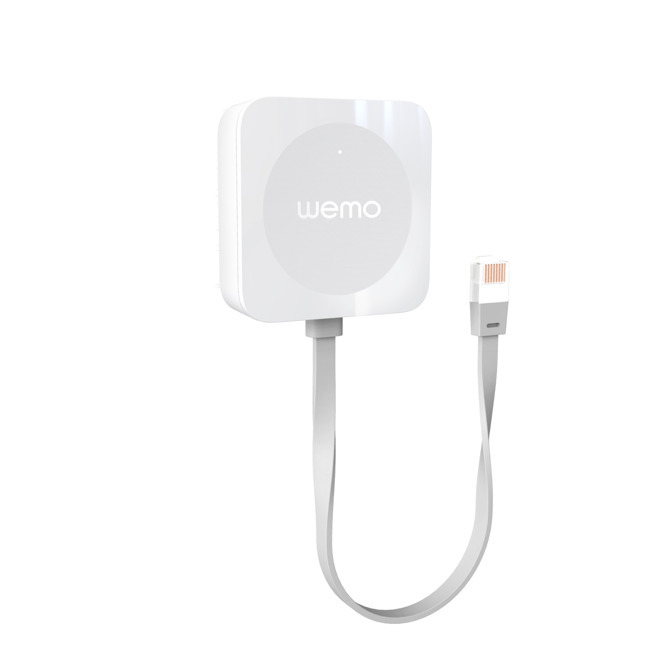 After a commitment from Belkin to share plans about future Wemo HomeKit compatibility earlier in May, the company has made good on its promise, and has announced the Wemo Bridge allowing currently installed peripherals to function with Apple's home automation solution. With the HomeKit-enabled Wemo Bridge, current Wemo users will be able to use Siri or the Apple Home app to actuate any of their devices. Taking the same approach as Philips and Ikea, the Wemo Bridge connects to any wi-fi router through an Ethernet cable to enable the product line's HomeKit automation. In March 2016, the company declared that the Wemo product line would not support Apple's HomeKit "in the immediate future" because a completely separate line of products would be required for the compatibility. At the time, the company's "workaround solutions" didn't fall within Apple guidelines, so Belkin put compatibility on hold. At present, the Wemo line of home automation products consists of three models of smart plugs, a dimmer, a light switch, two cameras, and a lighting starter set. All of the devices are controllable on the iPhone with Belkin's Wemo app now. Belkin claims that the Wemo Bridge for HomeKit is planned for availability in the fall of 2017. Pricing is not yet known, and will be announced when the device ships. Introduced in 2014, HomeKit allows users to connect to a variety of compatible so-called "internet of things" devices through the iOS Home app in conjunction with each other, as opposed to a series of disconnected interfaces. The technology allows for not only touch controls on an iPhone, but Siri-invoked commands as well.